Editor’s note: Zipp is sponsoring our coverage of Land Run 100, Wild Horse Gravel, Dirty Kanza 200, and SBT GRVL in 2019. We will be riding Zipp’s 303 Firecrest wheels on all of our gravel adventures this season. Between the bumpy dirt roads, whipping winds, and steep hills, a big day of gravel riding or racing is demanding. For our 2019 gravel events, we added Zipp’s 303 Firecrest wheels to our quiver. To handle that rough terrain, we’ll run tubeless tires. 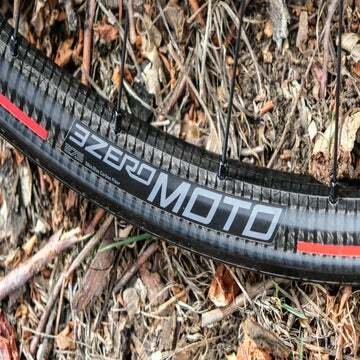 Right from the factory, these wheels come with tubeless-ready rim strips installed. The rims are also 21mm wide internally, which gives bigger tires — think 38mm or 40mm wide — a supportive rim. For the winds of Kansas or Colorado, these carbon fiber rims are designed with aerodynamic dimples all the way around the 45mm deep rim profile. They are disc wheels, after all, so no need to worry about a brake track. This dimpling is meant to improve handling in crosswinds, in addition to reducing overall drag. At 1,645 grams for a pair, the 303 Firecrest wheels can also handle gravel’s third big challenge — the hills that feel steeper and longer as the day wears on. Plus, the 303 Firecrest is made in the USA, in the middle of the gravel heartland. These wheels are laid up, molded, drilled, and assembled at Zipp’s Indianapolis headquarters.